Parrot's Zik 2.0 headphones are an impressive set of headgear, and with the Zik Sport, Parrot has done everything in its power to cram all of their power into a a small package. They're down to 70 grams from 270 grams, plus now they're swearproof and ergonomically designed for your run. That in itself is rad, but Parrot has also loaded the headphones with a a battery of biometric tracking features targeted directly at the athlete. Indeed, the Parrot Zik 2.0 headphones do more than almost any other headphone we've ever heard. They're bluetooth, they have active noise cancellation, they've got customizable equalization, as well as innovative features like street mode which lets you hear the world around you as well as the music you're listening to. All of this is powered by an outrageous number of microphones. 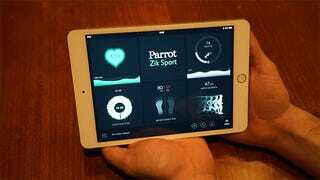 Parrot wants to load the Zik Sport headphones with of those features and then some. First up are the built-in hear rate monitor that we've seen in several other products recently. They also have a built-in accelerometer to count your steps. We've seen those features before. Where the Zik Sport goes further is that it attempts to give you data about the quality of your motion. For example, using the companion app, which connects to the headphones via Bluetooth, you'll be able to track your vertical oscillation while you're running as well as how much time you're spending on each of your feet. This kind of data can then be used to help you train, and ultimately, to make you a better athlete. Even the sweatproof hardware design is innovative: the band has five contact points with your head that keep the headphones secure on your dome without putting undue pressure on your ears. 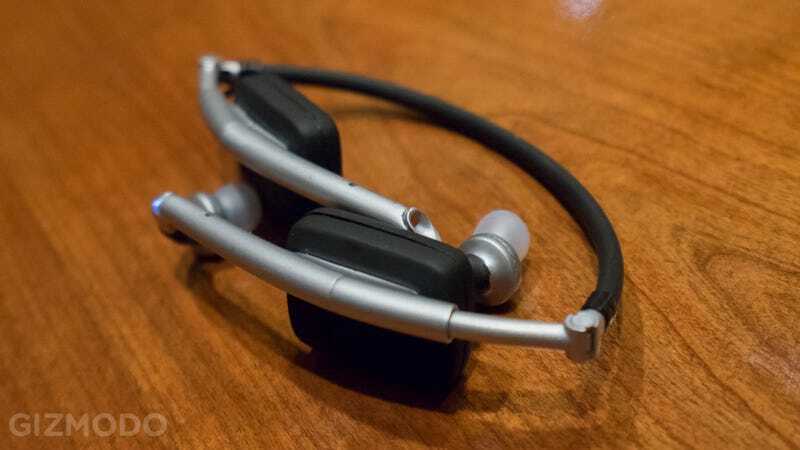 The Zik Sport are still just prototypes, and there's no word on when exactly in 2015 these ambitious headphones will actually be available. We're looking forward to seeing what Parrot can teach us about our moves.